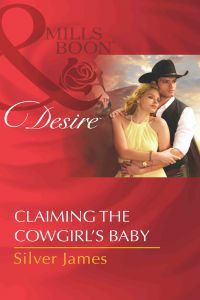 Product description: Claiming The Cowgirl`s Baby is written by Silver james and published by Mills & boon. Buy Claiming The Cowgirl`s Baby by Silver james from markmybook.com. An online bokstore for all kind of fiction, non fiction books and novels of English, Hindi & other Indian Languages. "The surprise heir gets a surprise heir! As the newly revealed secret son of Oklahoma`s most notorious billionaire, ranch foreman Kaden Waite could lose everything if he doesn`t kowtow to his late father`s terms. In a desperate moment, he turns to heiress and friend Pippa Duncan for some very private comfort. But soon Pippa has a secret of her own-she`s having his baby. Kaden is determined that history not repeat itself` the child will bear his name and Pippa will be his bride. But Pippa refuses to settle for marriage without love. Is it a stalemate or the start of something truly special?